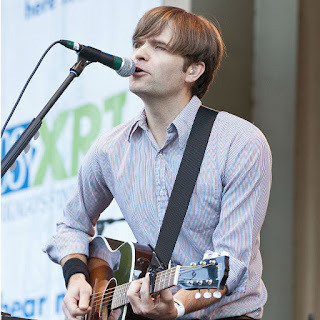 Ben Gibbard from Death Cab For Cutie and Postal Service. Maybe it's because I haven't really grown out of my EMO-phase, but I just find his voice soothing in its melancholy. It is also a recognizable voice - that you'll immediately say, "Oh, it's the Postal Service/Death Cab guy". And it's been imitated it inspired other artists too, like Owl City. Since I've posted Such Great Heights twice on this challenge already (Day 7 & Day 14), I'll share my other favorite song from this guy from his other band.